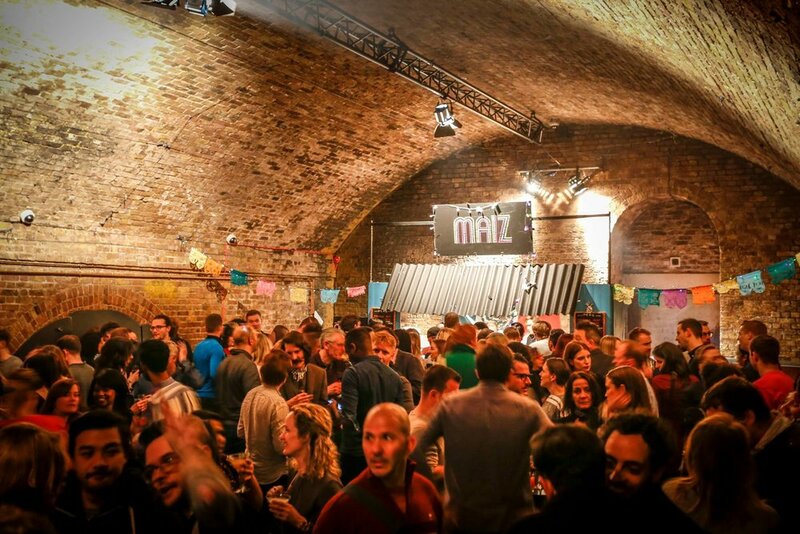 MAÍZ was founded in 2014 with the aim of bringing authentic Mexican food to the UK, giving diners the chance to explore the diversity of the country’s regional cuisine using fresh, sustainable produce from within the UK and its waters wherever possible. Our life began as a pop-up restaurant in the Bethnal Green Working Men's Club, where we enjoyed many happy months in the kitchen learning new skills and developing our menu - often entertained by the wild array of cabaret acts rehearsing in the dining room mid-week. Today we have expanded to provide a range of catering and events services across the South, including crowd-pleasing ‘street food’ at festivals through, bespoke private catering for corporate events and weddings, as well as continuing to host a themed pop-up experiences throughout the year. Whether you’re planning a Ceilidh to celebrate Burns Night, an intimate five course anniversary dinner with a focus on traditional French cuisine, or you’re in need of one thousand vegan canapés and a cocktail bar for your Business Awards night – get in touch to see how we can help. You can also come and see us in action by checking the what’s on page.